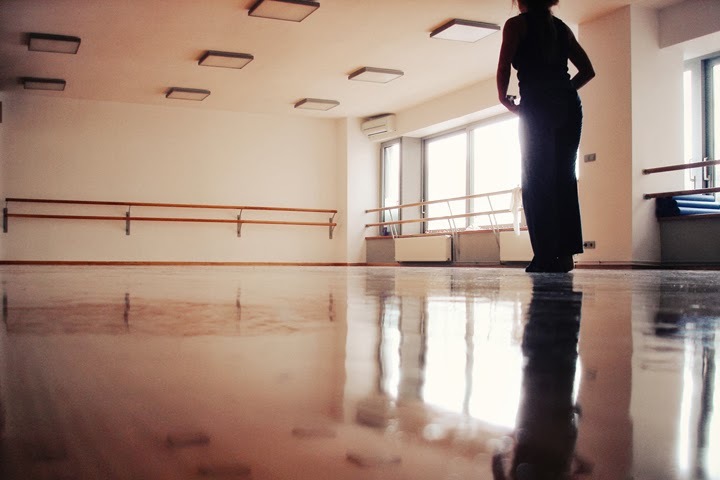 KINOUME dance studio is a new space created in 2012 in the center of Thessaloniki, hosting classes and workshops of contemporary dance, ballet, movement research, improvisation and somatics for dancers/students of all ages. Our goal is to provide an holistic approach to dance education and to create the context for the research of physical movement and expression. We offer a wide range of classes in different dance styles, making sure that each teacher can freely share their own approach to dance and the body. In our weekly schedule we offer classes of contemporary dance, ballet, contemporary ballet, jazz, yoga and pilates. Our schedule is constantly enriched by inviting teachers from Greece and abroad to give workshops. We believe that the constant exchange of information and artistic experiences leads to a more integrated education. 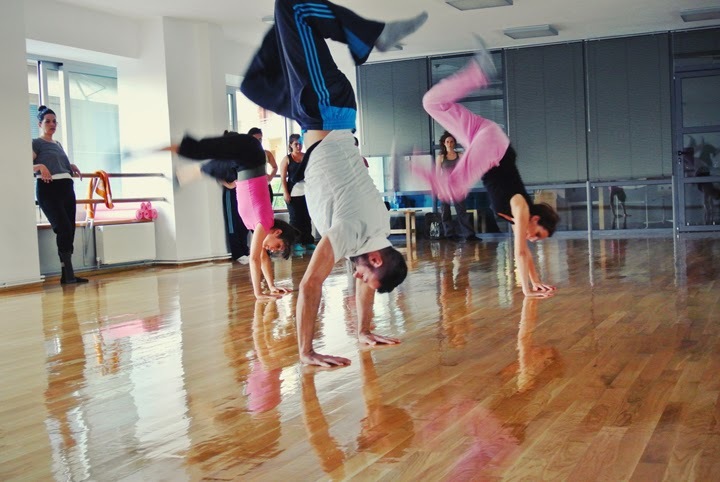 KINOUME dance studio is located in the center of Thessaloniki, on Kamvounion 9 street, on the 1st floor. We created our space with love and the necessary expertise, in collaboration with a team of engineers, architects and builders, adding our personal experience, in order to create a warm and friendly environment, to welcome our dancers-students. We constructed two bright studios, 100m² and 50 m², fully equipped with the most recent sound, heating, air-conditioning and sound isolation systems. 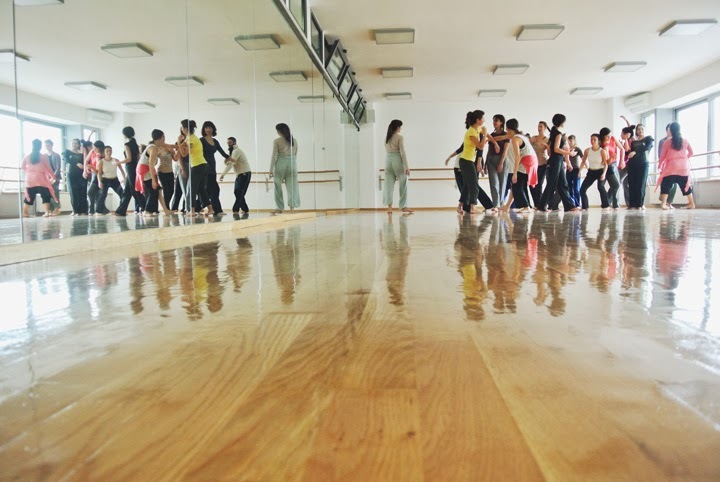 We constructed particularly mindfully the studio floors, from solid oak wood, with an absorbing under-construction, so that our students can dance agreeably and safely. Here you can see more pictures of our studio spaces. You can learn more about us, see more pictures and find our schedule, classes and prices in our website. You can connect with us through facebook, twitter and pinterest. We will be glad to hear from you! Το studio χορού ΚΙΝΟΥΜΕ βρίσκεται στο κέντρο της Θεσσαλονίκης και φιλοξενεί μαθήματα και σεμινάρια σύγχρονου χορού, μπαλέτου, yoga και pilates για μικρούς και μεγάλους χορευτές! Εδώ μοιραζόμαστε τα νέα του studio, άρθρα, links και ό,τι μας εμπνέει σχετικά με το χορό. KINOUME dance studio is located in Thessaloniki, Greece. This is our blog, where we share our everyday in the studio, links from around the dance world and lots of dance inspiration! Ξεκινώντας χορό ως ενήλικας - F.A.Q. Adult beginners -starting with dance as an adult F.A.Q.